I have been a fan of North Face Fire Road I for quite some time https://drshoe.wordpress.com/2008/11/04/shoe-review-north-face-fire-road/. It fits the narrow, shallow foot well and is lightweight and stable. Unfortunately, Fire Road II is not quite the same shoe. For starters, there are fewer eyelets on the II . 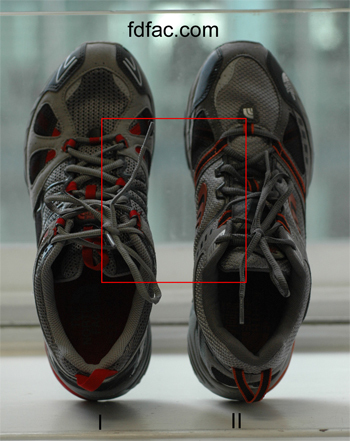 This means the shoe will not adjust as easily or cinch up as tight. These features are crucial to a narrow foot type. 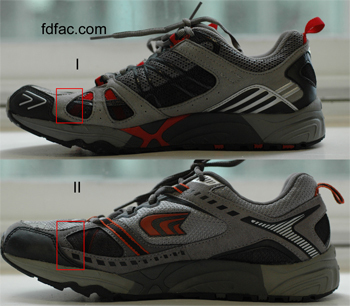 The next and most important difference is the toebox depth. Fireroad II has a much deeper toebox than I, which will not fit the narrow foot as securely. This may contribute to sliding forward and improper fit in the forefoot and heel. If you are upgrading from version I to II, you will want to pay close attention to the changes this shoe has undergone as they can affect function. This is especially true if you have a narrow foot.